The Lean Launchpad ‘s greatest strength is its ability to help entrepreneurs convert their passions into a viable business model… before they run out of money! But we preach ” show, don’t tell ” so let us show you what we mean :). The uChampion co-founders joined the Lean Launchpad class with a passion for fitness, mobile technology, and video games. They felt there was some way to bring these things together in such a way to help people achieve fitness goals more effectively. Idea: Create a mobile app that tracks your progress towards physical fitness goals and displays your progress towards goals via a 3D avatar. The 3D avatar would be displayed not only in the app, but also via social networks and – if possible – in massively multiplayer online games like World of Warcraft. # of people who would actually find this interesting and worth paying for was not measurable. Cost to implement concept was daunting and required code-level collaboration from top-tier game companies… deemed not likely to happen. People WERE interested in a better way to track goals, progress towards them, and get help from friends to achieve goals. With this learning in hand, they tossed their idea and executed their first pivot . Idea: Create an app that employs gamification techniques to help individuals better select and achieve personal fitness goals. Good news: lots of demand and validation of gamification as a way to help people improve fitness results. Bad news: this space is very crowded by big, well-funded competitors. There was nothing the co-founders had in mind that would let them compete head-to-head. Interesting news: Gurus (defined by our entrepreneurs as a subject matter expert in any field who maintains a personal following of students) were interested in gamification. Gurus interviewed seem to struggle getting their students to achieve goals, and felt gamification could help them. But existing gamification solutions are targeted either to individuals or to large enterprises. There are no solutions to help gurus! Idea: A platform that allows even non-tech-savvy gurus to quickly and easily create their own branded apps. These apps use gamification to help students better achieve success and communicate progress/challenges between student and guru. Good news: lots of potential market verticals, plenty of potential customers, gurus become a channel for distribution of app to consumers, gurus may be willing to pay if they can see tangible business results. Bad news: lots of verticals, WHERE to start? Also, the gurus are a highly fragmented target market, so cost to acquire each customer could be very high yet the revenue from each customer might be small. Idea: Create apps that help gyms better serve their members, increasing retention and market differentiation through the use of gamification to increase motivation, follow-through, and social engagement. Many gyms, especially YMCAs, have high attrition rates in their gym memberships. Keeping those people on as members would add significantly to their bottom line. Gyms are in vicious competition with each other and, often, struggle to differentiate themselves. Gym owners that had hard data on the health impact they’ve had on their members would help them stand out from competitors. YMCAs and many other gyms are using clipboards and are not using mobile apps. The apps they do know of are targeted to consumers and do not allow easy sharing of data between member and trainer (aka fitness guru). Gym owners agree that motivation, data tracking, and social engagement are all problems their existing technology solution (paper) do not address. After a 20 minute phone call one gym CEO was begging them to do their beta at his facility :). Most of the startups I know (including my first startup!) took years to do that much learning. uChampion did it in 5 weeks. Will they succeed? It is still far too early to tell. But damn if they don’t have a hell of a head start! If you would like to learn more about enrolling in the next session of Lean Launchpad: Pioneer Valley (Feb, 2014), let us know . This post is a part of our Lean Launchpad Lessons series . Newer Post Congrats to Sarah Williams, Team Going To Semifinals! The McGill Lean Startup Program is a hands-on program that immerses student teams by having them test their business ideas and hypotheses outside the classroom. Inside the classroom, it deliberately trades off lecture time for student/teaching team interaction. It is inspired by the Lean LaunchPad Methodology developed and taught at UC Berkeley by Steve Blank. The Program consists of one 3-hour class every week for 10 weeks in the Fall, featuring guest speakers and mentors. The Program is a mix of McGill undergrads and graduate students, post-docs and researchers across all faculties. For 10 weeks every Fall, the McGill Dobson Centre for Entrepreneurship runs the McGill Lean Startup Program. The program is free and open to all McGill students, faculty and staff. Final presentations take place Monday, December 3, 2018 and are open to the public. Applications for the McGill Lean Startup Program 2018 closed on Sunday, September 16, 2018 at 11:59 PM. Lectures typically given in class will instead be the projects that teams need to follow on their own time. These lectures are offered as a free course on the online platform Udacity: How to Build a Startup, The Lean LaunchPad . In class lectures will instead be in-class discussions about the startup/business hypotheses. The facilitator will also help students and their teams achieve milestones and guide them throughout the McGill Lean Startup process. 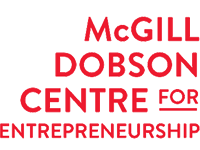 The McGill Lean Startup Program will be facilitated by the McGill Dobson Centre for Entrepreneurship. The program will collaborate with experienced alumni and mentors from the Montreal community and beyond, prize winners from the McGill Dobson Cup and graduates of the McGill X-1 Accelerator, and professors from the Desautels Faculty of Management. Teams can be formed with individuals from any university or background HOWEVER they MUST have at least 1 McGill affiliation: student, faculty, staff or alumni. If the only affiliation is a McGill alumni, they should have graduated from McGill no more than 5 years ago. Preference will be given to teams formed entirely of individuals from McGill. Teams must be a minimum of 2 individuals who are founders, with one technical and one non-technical. If, for e.g., your startup project is a food-based startup (and not a tech startup), then one of your founders needs to be a food scientist (or have a similar background/expertise) to be able to create your product. Teams must show proof of having worked on an idea, concept, or prototype (ideally for 3+ months). Teams must attend all lectures, missing more than 2 lectures leads to disqualification and $50 reimbursement for the course (per member). Startups teams are not more than 2 years old. Startups teams have not raised a significant amount of funding yet (under $100K) in the last 2 years. This must be the only startup project you and your team are working on. Teams expressly intend to enter the 2019 McGill Dobson Cup or have done so previously. Classes will be held at the Desautels Faculty of Management, 1001 Sherbrooke W. from 6:00 PM-9:00 PM every Wednesday in Bronfman 001 from October 3 to November 28, 2018. Final presentations will take place on Monday, December 3, 2018 in Armstrong 370, 3420 McTavish from 6:00 PM-9:00 PM. We have an entrepreneurship collaborative space at our offices on 3430 Rue McTavish where you and your teams will be able to work together on your startup during the week and receive mentorship and ongoing help. What online courses are available for the Lean Startup methodology? Toptal: Hire the top 3% of freelance developers and designers. Leading companies trust Toptal to match them with top talent for their mission-critical projects. I think this Dilbert comic on leadership could also be applied to becoming a successful startup founder with Lean principles. An online course, like a book, can only cover a limited amount of the whole package. I would spend a small amount of time in online courses and more time building MVPs and build…measure…learning! Anyways, if you really need a course, I would try How To Build a Startup by Steve Blank. Does the lean startup method actually work? What are limitations or disadvantages of the lean startup methodology? How do I start leaning digital marketing? Are there online courses available for the same? What are some new trends and methodologies like customer development, lean methodology etc in starting a new startup? What are the best online design thinking courses available? Prior to that, I sought out the You Tube video series with Steve Blank under the "Founderschool" channel and Michael J. Skoks Harvard Universitys on-line iLabs series on Start ups. I also looked a videos about how to use the Business Model Canvas by Alexanger Osterwalder (again available on You Tube) and Eric Reiss lectures on You Tube as well. Essentially, I looked up everything I could find on You Tube, viewed most of the material to the end if it gave me new insight and then I took the "Udacity com" course. I followed that up with a second and third review of Michael J. Skoks Harvard iLab series and felt comfortable enough to take on my current Air Transport start-up. Steve Blank, Alexander Osterwalder, Michael J. Skok, Eric Reis are all the type of individuals who will likely only be too happy to respond to you if you ask them keen questions. ; Michael J. Skok responded personally to an email I had posed to him. Scale your deployments with a flexible and predictable pricing model. Free for 60 days. Besides the well known Lean LaunchPad methodology by Steve Blank and Bob Dorf, are there other "Startup creation methodologies"? What are the best courses available online for Big Data? What are the available diabetes courses online? Which online training courses are available? How can I apply lean startup methodology for a shoe line? How many online courses are available? Where are the best online courses available? Are there any online courses available for deep learning? What are the online courses available for electrical engineering candidates? What are the better online courses available for CAT? What are the online courses available for medicine for free? What is an online course to learn building startups? Are there online teaching methodology courses? Is there any online course available for Linux? Which are the best business analyst courses available online?